Home/ Store News/ The iOS 11 System Hard Disk Expansion Precautions - Do You Know! Where there is a demand, there is an opportunity. With more and more iPhone users are not satisfied with its storage, a new technology that is upgrade iPhone storage emerged at the right moment. Vip Pro Shop Team will tell you the iOS 11 System Hard Disk Expansion Precautions. As the Apple iOS 11 system adds double authentication, during the replace old nand, iphone nand upgrade period. Need to write the iphone original serial number, bluetooth and wifi information, otherwise it can not be activated. 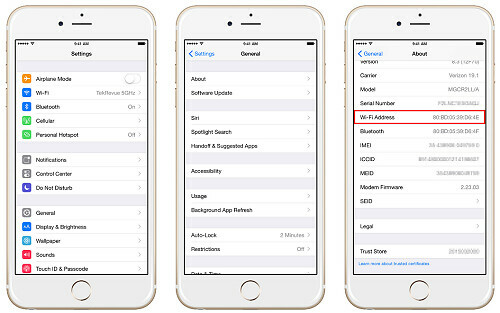 iOS 11 it is possible to operate the original iPhone memory upgrade, you need write the original same SN / BT /? WIFI address information. 1. Customers need to obtain the following information of original iPhone. 2. If the customer only knows the iphone serial number, don't know bluetooth and WIFI address, you can find us inquiries, query a 10 dollars. 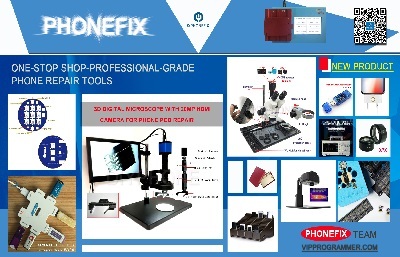 Or you can shop the iPhone NAND upgrade tools at Vip Pro Shop Team, all of them are simple and convenient.